One of the goals in designing our new office space was to create great new collaborative spaces. Our giant wall of burlap has proved to be the go-to spot for internal brainstorming, not to mention a few client meetings requiring a more interactive forum. This space inspires our creative process even further, allowing us to approach each project with a totally fresh perspective. 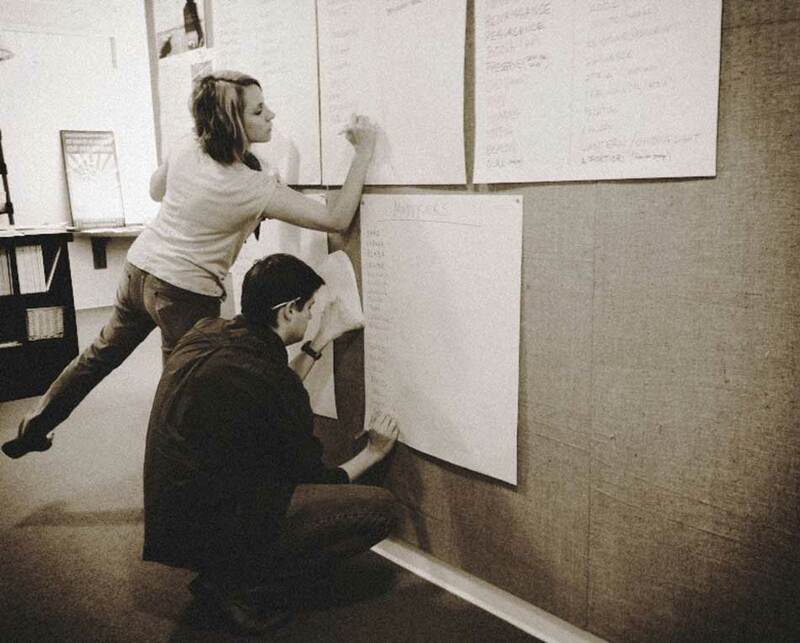 What worked well for one project does not necessarily work for another, so our process is always thoughtful and deliberate – all ideas are thrown on the wall (both literally and figuratively) then we work together to shape and mold them into the best possible solution. Key rules we live by – there are no bad ideas and everyone brings something unique to the table. There’s always a creative solution to any given problem and we love the process of finding it.